Your opinion matters. Leave your review of Youth In Need Emergency Shelter. Description: Youth In Need's Emergency Shelter is a 12-bed emergency residential center for male and female children and teens, ages 10-18, who are in crisis. Continuously in operation since 1974, Youth In Need has developed a comprehensive temporary shelter services program, structured to meet the unique needs of each child and teen. Youth In Need's Emergency Shelter program provides a safe haven from abuse, a 'family timeout' to provide a cooling off period during a time of intense family conflict and shelter for homeless children and teens. Youth In Need meets the basic needs of housing, food and safety while providing counseling and other support services to help youth re-unite with their families, when appropriate, or find an alternative living situation. 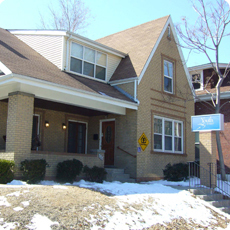 The Emergency Shelter offers individual, family and group counseling, crisis intervention and case management services and daily educational groups. Participation in the program is voluntary, and the program is free to participants. Children and teens must be between the ages of 10 and 19 to enroll. Enrollment intakes are scheduled via the 24-Hour Help Line or on a walk-in basis at the Emergency Shelter. During the enrollment assessment, Youth In Need staff will provide the child or teen with their immediate needs, explain the program, services and participation requirements and secure voluntary commitment from the child or teen to participate in the program. Do you have items to donate? Contact Youth In Need Emergency Shelter at the phone number provided above to see if they can use any items you may have to donate.